The 2018 Jaguar F-PACE is an SUV spin on Jaguar’s usual sports car offerings. At its core, however, the F-PACE is still a Jaguar, so you can rest assured that performance is going to be a top priority. The F-PACE starts off with a 2.0-liter turbocharged engine option, capable of producing 247 horsepower and 269 lb-ft of torque. For more power, you can upgrade to the supercharged V6 to generate 380 horsepower. For optimal fuel efficiency, the best engine option is the 2.0-liter turbocharged diesel. While the 2018 Jaguar F-PACE’s exterior is certainly refined, the interior cabin is where you’ll find the most luxury in this upscale SUV. Standard amenities for the F-PACE include posh Luxtec seats, a Meridian™ 380W sound system, and a sliding panoramic roof. Upgrade from the base trim of the F-PACE and you’ll find even more interior amenities to enjoy. A rear view camera is a practical addition, while the available heated front seats are designed to add comfort to your ride. The 2018 Jaguar F-PACE proves the old adage about SUVs being safe vehicles with its standard lineup of safety and security features, including an anti-theft engine immobilizer and rear ISOFIX child seat tethered-anchorages. Upgrading to the F-PACE’s higher trim levels adds advanced features to the F-PACE’s safety suite. Technologies like Lane Keep Assist and Driver Condition Monitor help keep even the most skilled drivers just a little bit safer out on the road. 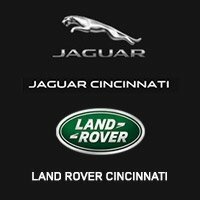 Call 513-791-1000 To Learn More about the 2018 Jaguar F-Pace.